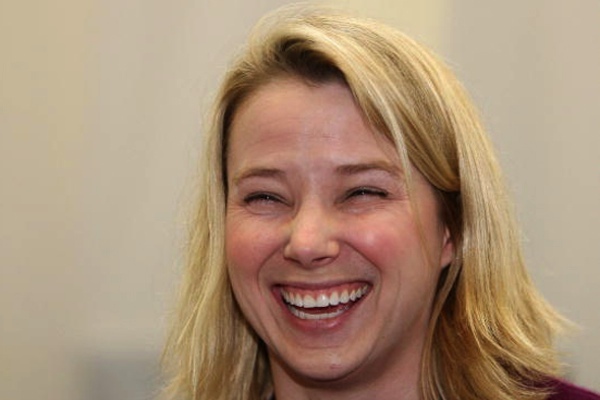 Yahoo Beats Google, Marissa Mayer's Leadership Validated? For the first time in years — decades measured in internet time — Yahoo’s web rank has topped Google. Granted, it wasn’t an overwhelming, thumping victory (if you don’t count Tumblr visitors), but CEO Marissa Mayer certainly must be celebrating. 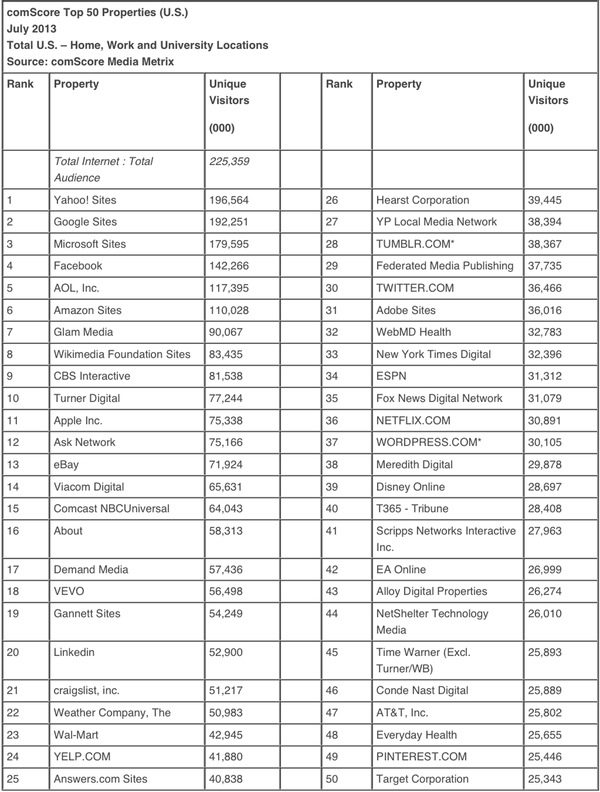 ComScore monitors and tracks top US web properties. Of course, all of that data gets put into a report, which they charge for. First in line to pay for Comscore’s Top 50 Web Properties of July 2013? Yahoo’s first-time CEO and Google refuge Marissa Mayer — Yahoo’s 197 million visitors topped Google’s 192 million. The last time Yahoo topped Google in ComScore’s ranking was 2011. Although the margin of victory wasn’t large, ComScore didn’t include Tumblr’s 38 million visitors, the blogging platform Yahoo CEO Marissa Mayer paid $1.1 billion back in May. So, actually, Yahoo buried Google — it wasn’t even close.